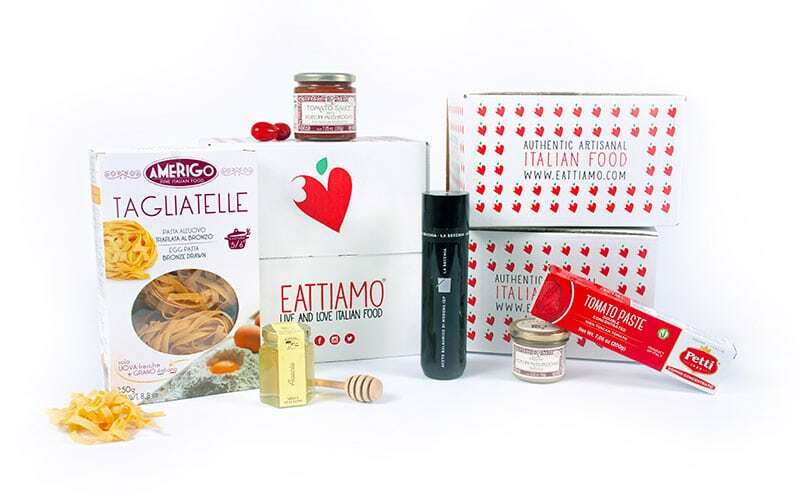 If you are a follower of EatTiamo Magazine, we can already consider you an expert of the traditional Ligurian pesto. This delicious basil sauce has win over all Italian people, so that in Sicily they decided to create their own interpretation of it, giving birth to the Red Pesto, a vibrantly-colored, deeply-flavored condiment with almonds, garlic, herbs, and olive oil. Sometimes it is also called Pesto alla Trapanese from the name of the city where it originates. Red Pesto, in dialect “agghiata trapanisa” is a famous Pesto cream sauces and a traditional recipe from West Sicily. It is an ancient recipe, which origins are in Trapani harbor. In fact, Genoese ships coming from East were used to stop in Trapani harbor and of course Genoese people let Sicilian know their beloved Pesto, who loved it so much and then modified the original recipe adding ingredients typical from their island. That’s why we find in Trapanese pesto Almonds and Tomatoes. This Red Pesto has a very delicate and aromatic taste, that perfectly matches with every kind of pasta. Almonds are a typical Sicilian product and the classic ingredients for many preparations, from the Pesto to the fabulous Sicilian pastries. Sicilian high-quality almonds have a thick and woody shell that holds the fats, thus preserving well their flavor and aroma; the almost constant sunshine and the calcium-rich soil contribute to their unique taste. To protect such a good product, a Slow Food Presidium was established, to help farmers retain the entire production process, not just the harvesting, but also the subsequent phases, including shelling, toasting and processing, which would help increase their profits. Thanks to their unique flavor, similar texture and subtle aroma and their abundance in this land, almonds are the best substitute for pine nuts in the Trapanese Pesto. Sun dried tomatoes are another typical Sicilian gastronomic product, with their lively red colour and a strong and unique aroma. They ripen under the mediterranean sun and are prepared according to old traditions which preserve and enrich their intense flavour. 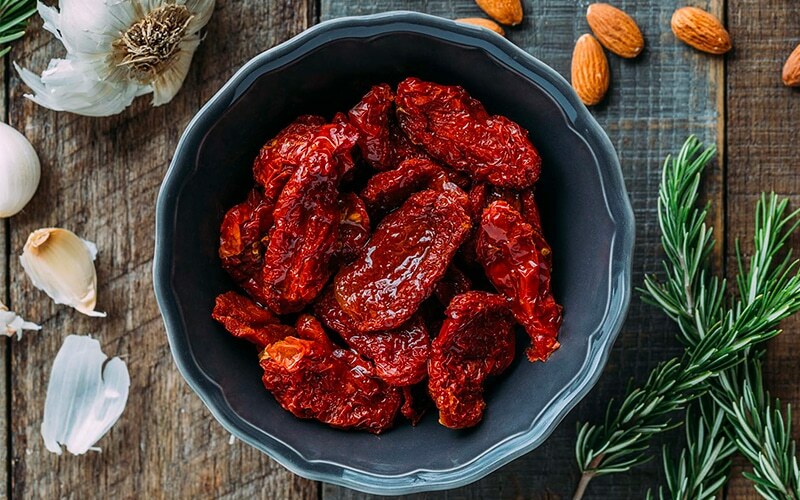 Making sun-dried tomatoes is indeed a long process and something like a summer tradition: especially in the past, the whole family was busy harvesting, peeling and seeding tomatoes. Then, they were left drying in the sun for a few days and canned under Extra Virgin Olive Oil. Nowadays, most of people, both in Italy and the US, buy them at the grocery. In the US, you’ll usually find two types of sun dried tomatoes at the market: dry-packed and oil-packed. Either can be used for this recipe. How to prepare and serve the Sicilian Pesto. According to tradition, as in all the Pesto cream sauces, all the ingredients should be mashed in a mortar. However, Red Pesto recipe can be simplified: finely chop sun-dried tomatoes, garlic, rosemary, roasted almonds and then put them with a bit of olive oil in the food processor. The result will be extraordinary! Pesto Rosso is also a great Italian make-ahead recipe. It will keep for 5-7 days in the refrigerator. When chilled, the oils in the pesto will solidify. Just return the sun-dried tomato pesto to room temperature before serving, and it will be luscious and spreadable again. Red Pesto can be served in most dishes where basil pesto is used. It’s delicious tossed with Pasta: use a little bit of the cooking water to thin the sauce and help it coat the pasta. Red pesto is also great as a spread for a sandwich, or to top chicken breasts or seafood. You can also enjoy it “as is,” spread onto a crusty slice of Italian bread.